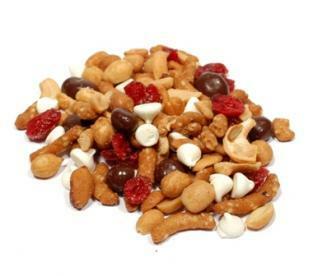 A mixture of Craisins, Honey Roasted Peanuts, White Chocolate Chips, Milk Chocolate Covered Raisins, Honey Sesame Sticks and Roasted Cashew Pieces. This mix will liven up any party or candy tray with it's bright vibrant colors. A great mix for holidays.